Agent 54 here again. It’s that time of year when the leaves on the trees are turning different colors, the kids are going back to school and the Baseball season is ending while Football season is just beginning. 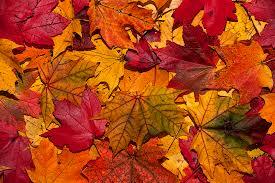 For some people, the changing of the seasons can be a stressful time of year. I got to listen in on a phone conversation between professional athlete Tim Tebow and hunter Elmer Fudd. Can Elmer help Tebow adjust to The Changing Seasons? Let’s find out. 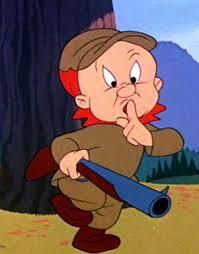 Elmer Fudd: Uh, hewoew, Elmer Fudd speaking. 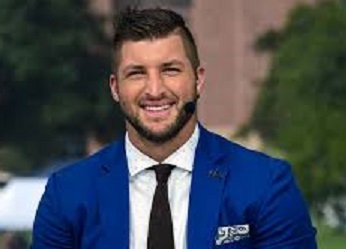 Tim Tebow: Hey Elmer, this is Tim Tebow. How are you? Elmer: I know you! Huhuhuhuh. You’re the Qwattaback that won the Heisman Twophy in 2007. Oh boy! Did you call because you want to go wabbit hunting with me? Tebow: Yeah, that’s me. Uh, no, no wabbitt,,,no rabbit hunting for me, thanks. Well, the truth is that I’m trying to play professional baseball for the Mets now but, I’m having trouble transitioning from one sports season to another. Tebow: Uh huh. I’m used to running plays and throwing passes this time of year, not swinging at fastballs. You always seemed to be able to make the change from rabbit season to duck season and back and forth in a flash. How do you do it? Elmer: Scotch! Pwefwerabwe Dewars Scotch. Tebow: No! That can’t be true. How do you shoot when you’re loaded? Elmer: Oh, uh, well the Scotch doesn’t weally help me shoot stwaight. The Scotch helps me deal with Bugs. Huhhuhuhuh. That scwewy wabbit will dwive you cwazy without a couple of dwinks. Tebow: Wow! I can imagine. Well, Scotch won’t help me hit a curveball. I guess I’ll have to try to ask somebody else. Elmer: You could twy Orson Welles. He was in the movie A Man foew All Seasons. Tebow: Yeah, yeah I’ll give him a call. Thanks Elmer. Elmer: Before you go I want to ask you a qwestion. Tebow: Shoot! Uh, I mean go ahead. Please don’t shoot any wabbits,,,uh rabbits right now. Elmer: Tim, you pwayed for Fwowida, the Bwoncos and now the Mets. Those teams wear the same colors. What’s with you and Owange and Bwue? Tebow: I don’t know, just lucky I guess. Well, thanks anyway, see ya later. 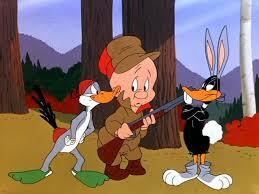 Elmer: Say Tim, feel fwee to call me duwing wabbit season, We can go bag a few wascally wabbits. Huhuhuhuhuh. Tebow: Uh, sorry but no thanks. I don’t shoot living things. Bye now. So, as summer fades and the temperatures begin to moderate, only one question remains: Is it wabbit season or duck season? I'm all for the scotchs, Bugs or not. Bwahahahahahaha. Have a drink on me and thank you for reading and commenting on my silliness. Thank you for participating in the FFfAW challenge. I hope next time you will stay within the 75-175 word limit. Cute story. Oh, sorry. I don't know if I can do that. I was twying hard not to laugh through that if I was dwinking scotch I would have choked. Be careful. Don't fall victim of a wascally wabbit. Will keep it a secret between us. Could there be a Space Jam IIV in the works? I live to make people laugh. hahah wabbits. this was such a fun read! So happy you enjoyed it. I read you loud and clear and I have a plan. Yes, we're moving right along. So happy to make you smile. Thank you for reading and allowing me to share. LOL - hilarious! I totally "heard" Elmer Fudd through all of that. Hahaha - orange & blue, you're so right! Thanks for sharing this at #FridayFrivolity this week, Timothy! I'm glad you enjoyed Elmer. As an avid fan of Duck Dodgers, it's duck season! Ooh, my husband's hobby is Scotch, so this was fun! Thanks for joining us at #FridayFrivolity this week! Please ask him to be careful because Scotch doesn't help him shoot straight.